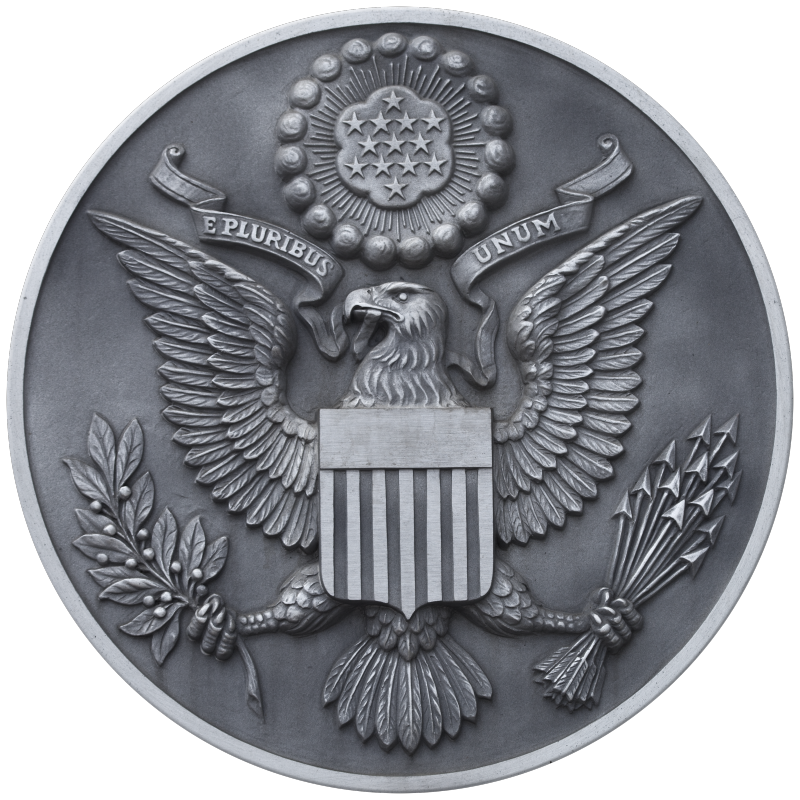 This is the obverse side of the Great Seal of the United States. This image has been altered, to present the seal in gray scale. WARNING: You are about to download a 16.1 MB TIFF!